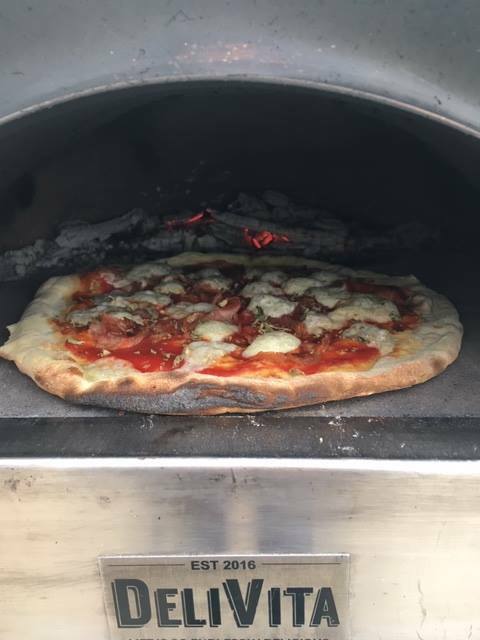 Enjoy delicious, freshly-made, wood-fired pizza, freshly cooked in the pizza oven at Gastro Nicks in Cadley Road in Collingbourne Ducis. On Friday Nights in February & March 2019. Call to order on 01264 852701. Collect your pizza between 5pm and 7.30pm. Delicious, freshly made to order. Thin base with genuine Italian ingredients. Margherita, Meaty, Fishy, Spicy or Veggie available.